Quintine was born in Soshanguve, Pretoria and was raised by his grandparents in Bushbuckridge, he is the first one in his family to graduate with a degree from university, in his family. He recently graduated from the University of Pretoria, receiving a degree in Actuarial Sciences and Financial Mathematics. Quintine was a gifted student from a young age, skipping grade 5 and grade 9 both. After attending a career fair in grade 12, he became interested in mathematics and wanted to pursue a degree in actuarial science. 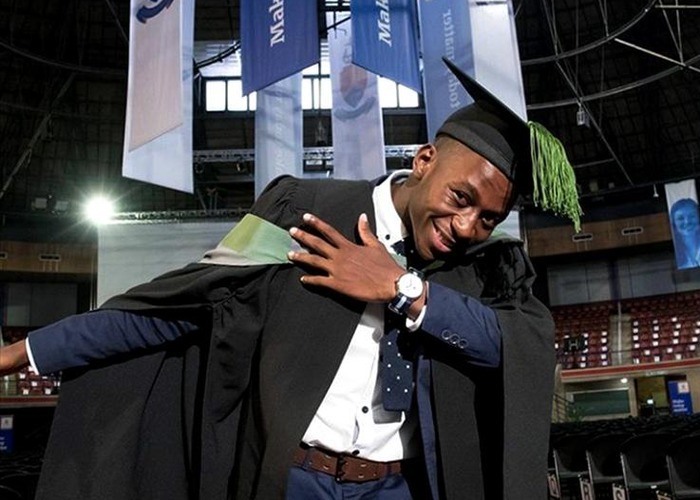 He not only graduated university at a young age but high school too, he matriculated at Hoedspruit Independent College at the of 14 years old, in 2012. At the age of 15, he enrolled at the University of Pretoria (UP) in the extended programme in Mathematical Sciences, in order to improve his mathematics mark, to be able to be able to get into the actuarial science coarse. After passing all modules required, he completed his degree at the Hatfield Campus, he had done his modules at the Mamelodi Campus previously.